The Arab League on Wednesday cancelled a memorandum of understanding with Guatemala in retribution for the Latin American country's decision to transfer its embassy in Israel from Tel Aviv to Jerusalem. 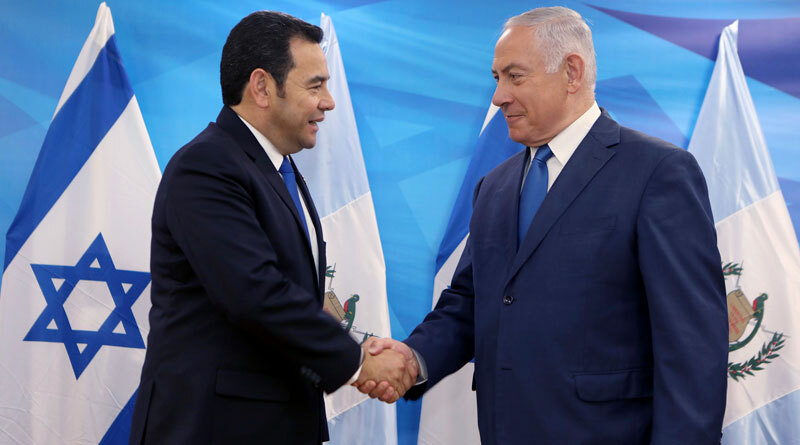 Guatemalan President Jimmy Morales inaugurated the country's mission in the holy city on May 16, just one day after the new US embassy in the city threw open its doors, garnering condemnation from the Palestinian leadership. The Arab League's axing of its 2013 agreement with Guatemala "came in light of activating the [League's] decision to condemn the Central American country's relocation of its embassy and taking the suitable political and economic suitable measures in that regard," a statement from the pan-Arab body quoted by Xinhua said. "The Republic of Guatemala and the League of Arab States have a mechanism of Political Consultations, which promotes coordination to carry out an exchange of information, however it is important to clarify that there is no instrument on International Cooperation and to date there is no official communication on the subject." Essentially, the 2013 agreement was a piece of paper that no one has done anything with yet. Meanwhile, the Guatemala-Israel Fund for Investment and Development announced $2 billion in joint projects between the two countries.